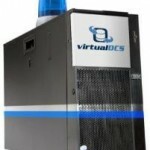 Leeds cloud computing hosting company virtualDCS has launched a new private cloud service. The service can in part utilise existing internal IT infrastructure along with the latest virtualisation technology to create a platform that delivers the speed, flexibility and responsiveness of cloud hosting. Professional service businesses including law firms, accountancy practices and recruitment consultancies can now benefit from the advantages of cloud computing without having the perceived security risk of client data being stored offsite. The virtualDCS private cloud service has been specifically designed to allow professional services businesses to maintain storage of all of their client and other critical data within their offices. Commenting on the service, virtualDCS director Richard May said: “Although we fully advocate cloud hosting within our UK-based datacentres and the high level of security it delivers, we understand that some professional services businesses are not yet prepared to host critical data offsite. “However, this does not mean that the benefits of cloud computing are unobtainable for such businesses. By establishing a private cloud we can utilise the overall power of an organisation’s IT resources and combine it with the virtual servers we create to dynamically allocate resource where it is needed. A further benefit of installing a private cloud with the Leeds Cloud Computing team is that it is an operational expense paid for on a monthly basis, rather than a large up front capital cost which requires ongoing spend due to maintenance and upgrades.